Do you ever feel like sometimes the online world is all talking about one book, and you haven't read it and now feel like you are missing out on something? Honestly, I feel like this happens to me frequently and this time I had to get in the know, and as an added bonus, I got to discover a new comic book series along the way. 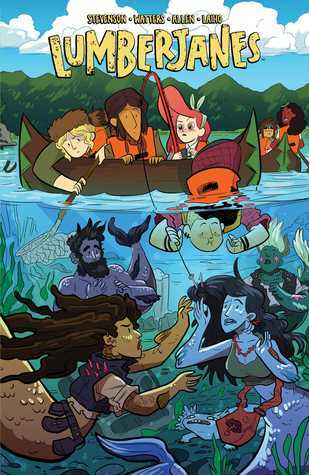 Lumberjanes features a pack of girls from all walks of life at a summer outdoor camp. They share a cabin, but most importantly, they share a friendship that camp and all the adventures within only helps to grow stronger. Beware the Kitten Holy kicks off the series and the summer. We are introduced to the girls, getting to know their personalities as well as discovering what summer camp is all about. 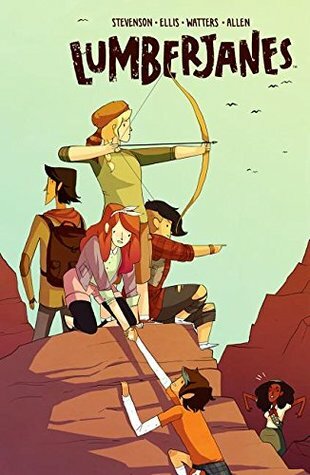 We learn that both the girls and the camp are unique, and there is much more to this story than originally the reader suspects. Friendship to the Max expands on this foundation. The girls' friendships grow stronger and so does the story itself. We learn answers to some of the mysteries presented in the first volume, yet know that there is more to come. And, I wanted there to be more! A Terrible Plan is truly self explanatory. We get to focus in on two specific characters a tad bit closer, and their budding relationship -- well, until this terrible plan interferes. Yet, we don't abandon the other characters; we are entertained by them as a bit of an intermission. Out of Time introduces us to a whole new plot twist, but one that goes back into the history of the camp. We get to learn more about where the camp came from and those that attended the camp back then, allowing the readers to have a greater understanding of the past as well as the present. 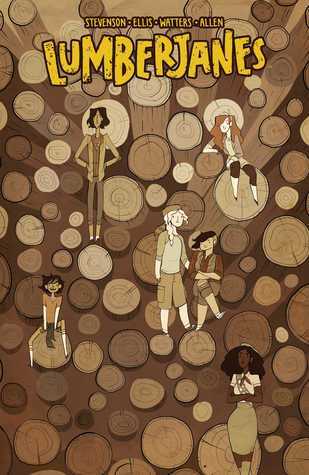 Then, we discover that the past comes back to haunt the camp and our precious set of friends. In the most recent volume, Band Together, Stevenson moves from a more serious story line in the previous volume to one that is just plain fun. The reader is introduced to the mermaids residing in the local lake, and all the angsty conflict that comes with it. 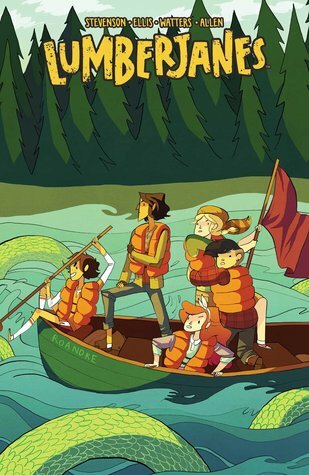 Lumberjanes is a fun new series that I look forward to following. It is entertaining, but also provides themes that prove to be more complex. As I was reading, I found myself frequently having to search out my books. Where would I find them? In my kids' rooms! They wanted to read them too! 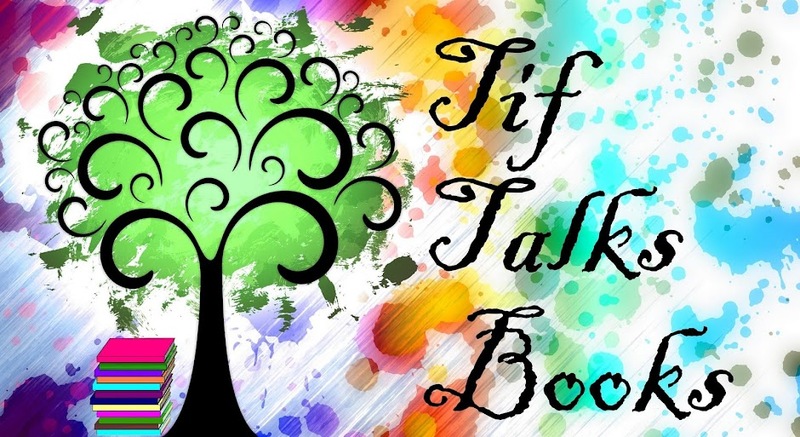 I loved seeing this love of reading, but what I appreciated more was the conversations that resulted from what a friendship looks like to even what love looks like in its many forms, even despite our differences. I cannot close this post without commenting on the artwork. I can't tell you what makes it stand out, but it does. It's eye-catching. It's colorful. It's detailed, and I found myself wanting to just admire the art for extended periods of time while reading the story. Now I must wait to experience the next installment. In the meantime, I'm thankful my dear husband gifted me the books to enjoy when the desire arises. 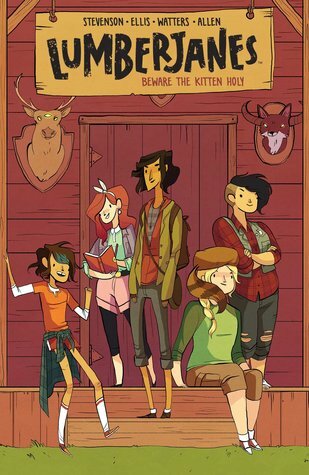 Have you had the pleasure of reading Lumberjanes? What have you thought of the series so far? I haven't read these but I hear good things. My apathy for GNs keeps holding me back. Jenny ... I really enjoyed them, but I'm also a fan of GNs in general. There are some really good ones out there, but there are others that are not so good. I would recommend that you give them a try! Alexia561 ... I am usually quite behind on the popular books, but I do pick one up every now and then. Sometimes, the hype can affect my read though! I had a lot of fun with this series. I really want to own it at some point. Kailana ... I love that I have these ones in print now. I will definitely revisit them! I only read the first two of these and then got busy with other books so now I think I need to go back and reread before moving on. I loved them though! 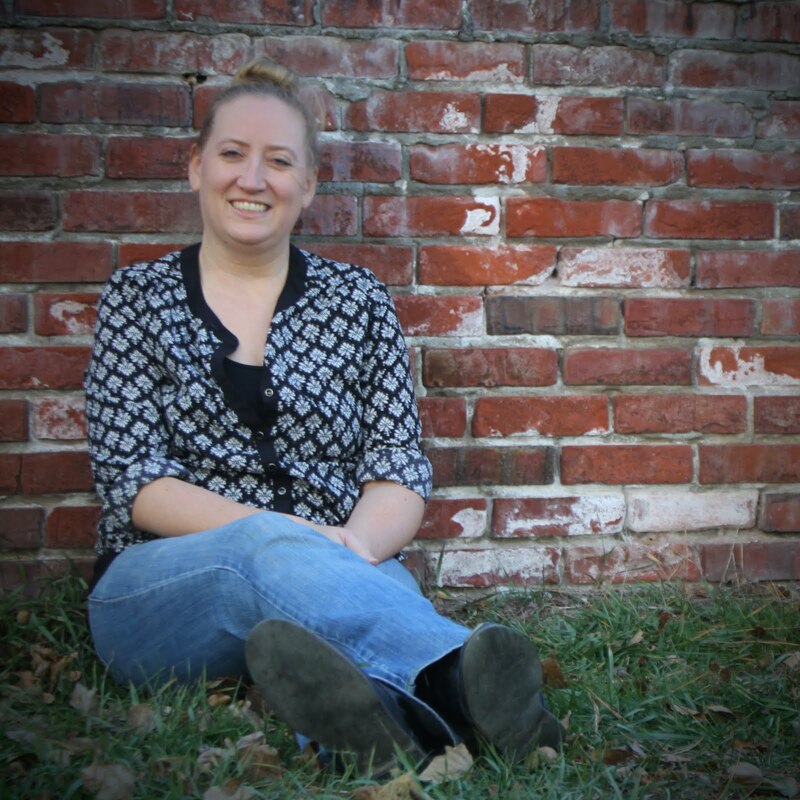 Kristen M. ... They get really fun after the first two! You gotta go back and reread and move on! I read the first one and wasn't impressed. I felt like the story started in a really weird place, and I couldn't keep track of all the girls. Kami ... I had a hard time keeping track of the girls originally too, but I think it got better, especially has their personalities really developed.